The Attari border crossing is the border from where you cross into India or Pakistan. At the border, you have a flag lowering ceremony followed by a commendable parade. During the ceremony crowds from both countries try to out shout each other while the soldiers complete rituals. The sight of the ceremony accounts for a nice experience altogether. Visit the border during sunset. There is a customs check post and immigration checking. There is a special queue for foreign tourists. 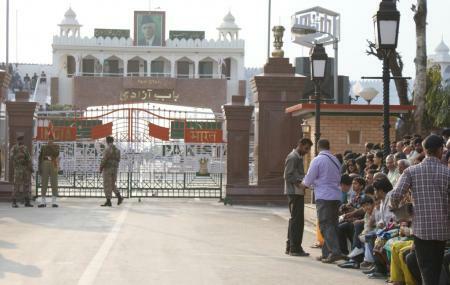 How popular is Attari Border Crossing? People normally club together Pul Kanjari and Wagah Border while planning their visit to Attari Border Crossing.